The Adventure Kings brand stands for high quality at a fair dinkum low price. 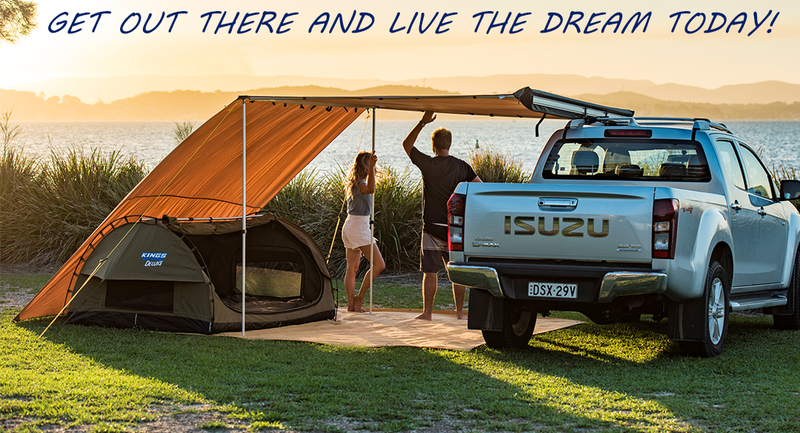 It was born from one Aussie family’s desire to help get more Aussie’s out in the bush more affordably. 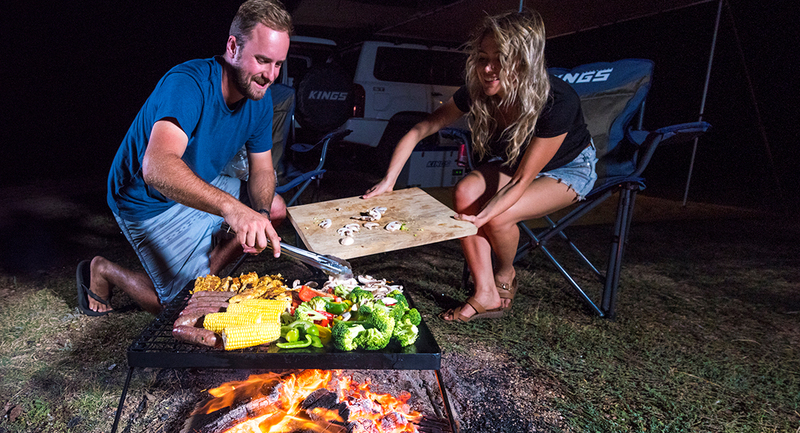 We’ve brought down the prices on many products from the trusted Adventure Kings brand that provides watertight warranties and the ability to call Australian customer service teams when needed. Paying very high prices for quality products that most people could not afford. It quickly became a hit! It’s impossible not to spot the legendary Adventure Kings logo on side awnings, LED driving lights and roof top tents attached to vehicles in almost every town and city in Australia. We’ve sold enough canvas swags and rooftop tents to cover 1 MILLION sq metres! Our winches and recovery kits get more people unstuck than any other brand in Australia. You could easily light the SCG and MCG together with the combined power output of the hundreds of thousands of LED lights we have sold. The combined distance we could light up from all the driving lights we’ve sold would illuminate the whole circumference of the Earth! Hiqh quality at low prices - how? When we say lower prices on quality products WE MEAN IT! Because we buy in such huge volumes, our cost prices are very low compared to most competitors. We remove middlemen who take their cuts along the way and work on very low margins. Each step saves you money – lots of it. Because we’re passionate 4WDers ourselves, we improved on previous designs for many products including our essential recovery kit where the cable dampener now holds all your recovery gear inside, our Bush Mechanic Tool Kit is one of the only in Australia to include everything 4WDers need to repair their 4WDs out on the tracks. We designed awning rooms, and gazebo rooms to make better use of these essential products and there’s more on the drawing board. All Adventure Kings’ products have been tested in conditions tougher than you ever could yourself so you’ll know they work when you need them to. The 4WD Action team have been testing our products and done over 1,000 tough winches from the muddiest bogs in Tasmania to the tip of Cape York. Our proven recovery kits have saved them from bogholes in every tough track in the country as well as being tested in the toughest conditions our relevant products are tested in NATA approved labs. We are proud of our products and prices and have nothing to hide. There are literally thousands of great reviews online from happy customers who love our quality and our lower prices. Gone are the days when you needed to pay over $1,000 for a quality pair of spotties to drive safely at night, or had to pay $300+ for a side awning to protect your family from the harsh Aussie sun during a day at the beach. With our buying power, fluid business model that adapts to online shopping trends while still delivering a bricks-and-mortar service to our most-populated cities, and our ever-expanding range, Adventure Kings is landing in more homes, sporting fields, schools, jobsites and campsites every day. Adventure Kings quality and reputation speaks for itself. In fact, it’s not just outdoor enthusiasts who have recently discovered how much money they can save by buying Adventure Kings. Fleets of truckies use our lights and their living depends on being safe on the road. Mums and Dads all over Australia are taking shelter under our gazebos and sitting in our comfy chairs during weekend sport with the kids. Young couples just getting into day trips and camping – whether they drive an SUV, sedan or station wagon – are getting where they want to go safer thanks to our GPS systems and dash cams, and enjoying their destination more thanks to our camp mats, mattresses, swags, portable power solutions, and other affordable products from our huge range. Next time you go for a drive, take notice of what side awning you see on most vehicles. Whether it’s a tradie’s work ute, a young bloke’s pride and joy 4WD, or a family’s fancy new SUV, you’ll see more Adventure Kings than any other brand. Apprentices to barristers are all shopping with Adventure Kings because our quality isn’t lower, just our prices. 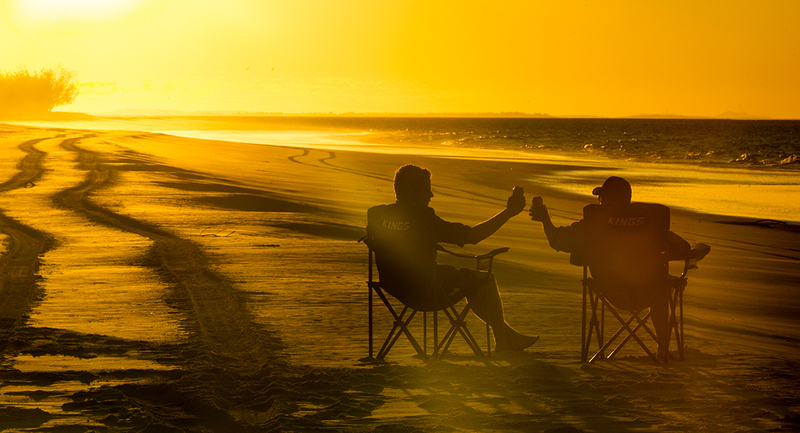 Enjoy the outdoors, and enjoy keeping more of your hard- earned in your back pocket.